We give talks on Falconry and its history, with birds being present to demonstrate the different aspects and attributes that each type of bird uses to survive in the wild as well as demonstrating the bond that exists between man and bird. We also offer a flying display, with one or two birds that will captivate your audience, leaving them wanting more. 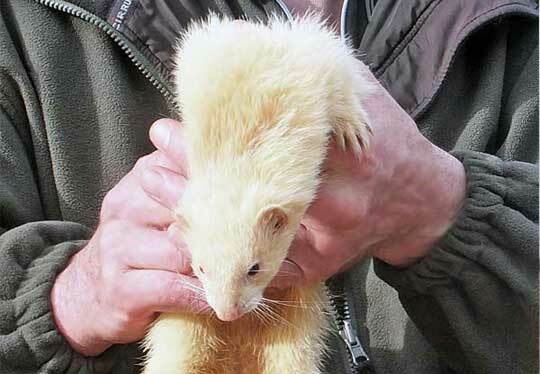 In addition to the birds, we often bring along ferrets and can tailor your session to include aspects of country life and the methods we use to ensure that bird, animal and the falconer work together as a team. We cater for school visits for children as young as 6 years, to adult groups – for a morning, afternoon, or evening with a difference contact us for information and to discuss your requirements. The focal point of your arena can draw in the crowds with a falconry display, while a static display of our birds, with a falconer present, will provide an added attraction for your visitors. Displays and static shows can be built around your requirements and we bring a number of birds to suit your audience. In the show ring, our falconers explain some of the history of falconry, the methods we use to train our birds and a little about the birds we have brought with us. As time goes on, the crowd will have the opportunity of seeing Harris Hawks in flight… maybe even to their own fist. Our Falcons then take to the air using the wind and the natural lift to gain height as the falconer swings the “lure.” Each pass can bring the bird within a foot of the crowd as she shows her grace and agility whilst trying to outwit the falconer – before finally hitting the lure and making her “kill”. 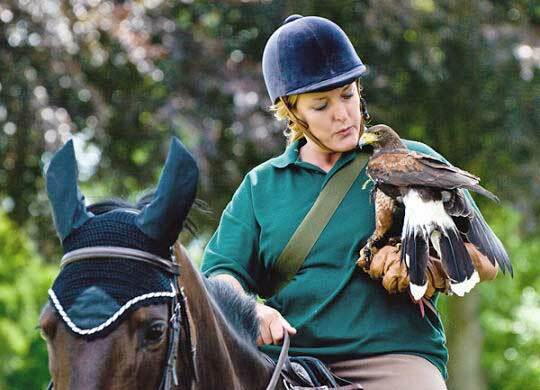 We believe that the Hawk Handling Course courses should be very much “one to one”. Learning the basics of Bird of Prey Handling will enable you to understand the daily routines that are required to keep a bird of prey, and to get the best out of your relationship with your charge. These courses are invaluable for anyone thinking of purchasing a bird, or entering the fascinating world of Falconry. On the course you will learn aspects of bird care, from building your aviary, through choosing a bird, types of food (and preparation). With the assistance of our trained Hawks, we move through the course and you will learn the principles of training – from “Manning” the bird and helping her to accept you as a useful partner, right up to flying her free for the first time. After the course you will go away a lot better informed, and having enjoyed a personal experience that will stay with you for many years to come. Week courses, because of their length will give you a greater insight into The Art of Falconry, and advice and help for the future will be freely given to assist your smooth entry into this fascinating world. Please contact us for information on courses, including local bed and breakfast rates. In April 2006, Falconry Days, Warwickshire became an accredited Assessment and Administration Centre for the LANTRA Falconry Award. Lantra and the Hawk Board have been working for some time on a standardised assessment in falconry, aimed at beginners, that will lead to a nationally recognised Certificate of Competence. We are proud to be one of the few Falconry Centres in the UK that can offer this assessment. The award can be taken following one of our Preparatory Courses, or over a period of time as you gain experience. The assessment covers Bird Husbandry as well as training your bird from bringing it home, to flying it free for the first time.